Chesterfield's Western Front Association presents John Chester's talk on Unknown Soldiers and the Unknown Warrior. John's talk will take place on Tuesday 1st November with the talk starting at 7:30pm. He begins with a quick look at some of the other Unknown Soldiers of the Great War, France, Belgium, Italy, Poland, Germany and the USA, telling the stories of their choosing, burial and memorials. 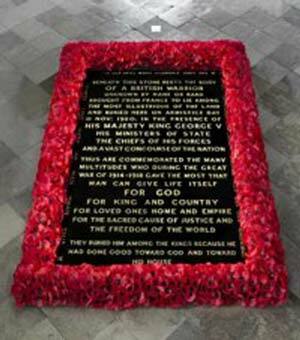 It then moves on to an in depth look at the British Unknown Warrior - how he was chosen, his return to the UK and his journey to Westminster Abbey for his interment, and then on to how it affected ordinary people. The talk ends with a look at events around the Unknown Warrior up to the present day. 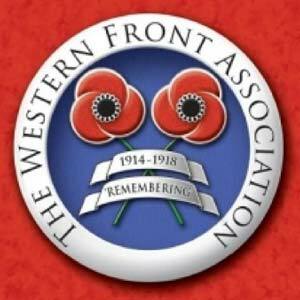 The Chesterfield Western Front Association meets at Chesterfield Labour Club, Unity House, 113 Saltergate. (Entrance to the club's 'free' car park is on Tennyson Ave, reached via St Margaret's Drive from Saltergate direction - a one way system). Members of The Western Front Association and non-members are equally welcome to attend. There is a modest £3 donation made on the door to assist in covering room charges and speaker expenses, The Club licensed bar is available for use by all attending our meetings. After the speaker's talk there, is a Q&A session, followed by a raffle. Raffle tickets can be purchased at the door for £1 per ticket. All new visitors will be assured of a welcoming and friendly atmosphere among a group of like-minded enthusiasts!